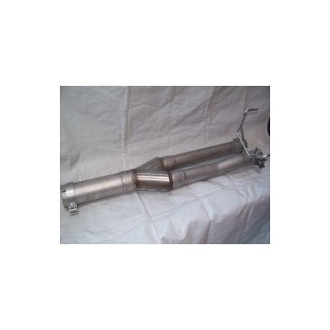 2009-Newer Dodge Ram 1500 Mufflex Hemi M80 /Exhaust. This is a do it yourself Exhaust retrofit kit for the 09 & Newer Dodge 1500 Hemi truck. You asked for and we made it! The DODM80 is made by Mufflex for those who want something more aggressive sounding than our DOD14M. This unit is made of 409 Stainless Steel and has a lifetime manufacturers warranty The decibel level on this unit is as aggressive as it gets with a sound level of 10. All hardware and instructions are also included. The DODM80 can be installed by the vehicle owner in approx 30-45 min with air tools [no welding involved or special assembly required.] This muffler delete is VERY aggressive and may drone at highway speeds. Please be sure this is the system for you and check local state laws regarding sound ordinances,as once the DODM80 is installed there are no returns, or refunds..
Usually ships in (3) three to (5) days from date the unit is ordered.